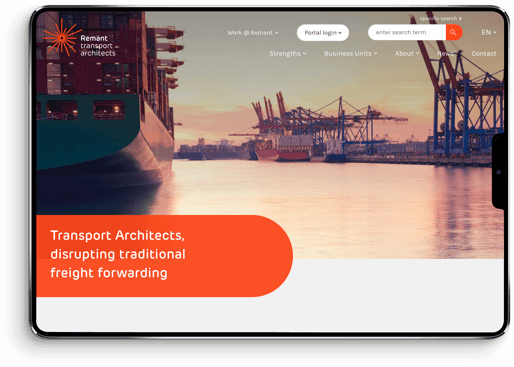 In 2017 the 2 freight forwarding service providers Remant, located in the heart of Antwerp, and Derudder, with locations in Paris, Le Havre, Valence and the island Mayotte, came together to be Transport Architects. 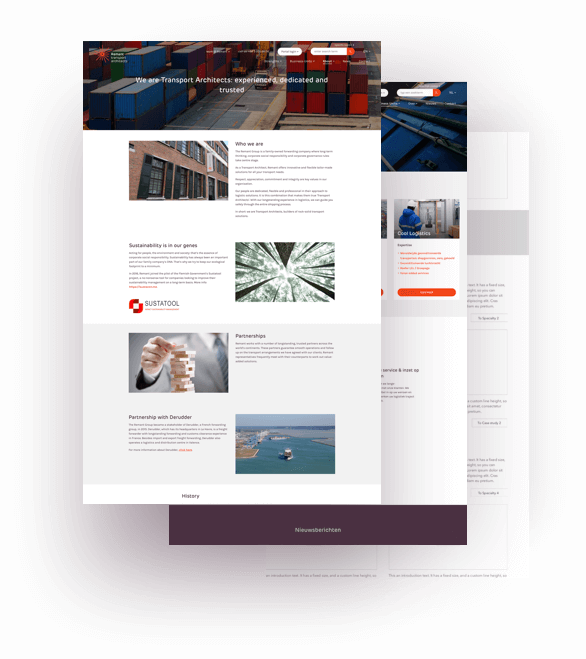 With the start of this new collaboration as a company group, they needed a new start for their online positioning and strategy, and new websites to come along. They chose Artcore Society as their partner for their online strategy and the development of their brand-new websites. And with great success, as we say so ourselves! We started off with a series of workshops with the different business units of Remant and Derudder, to identify relevant target groups and strategies to reach and surprise those groups. Remant and Derudder always did things their own way, with their own special touch that made them stand out from their competition. We kept that touch, in line with the new vision and branding of the Transport Architects Group. The websites not only look and feel great, they are also a 100% future proof, ready for the new directions and expansions these companies are heading into. On top of that, existing track and trace systems were seamlessly integrated. Let's connect and shape your digital future!